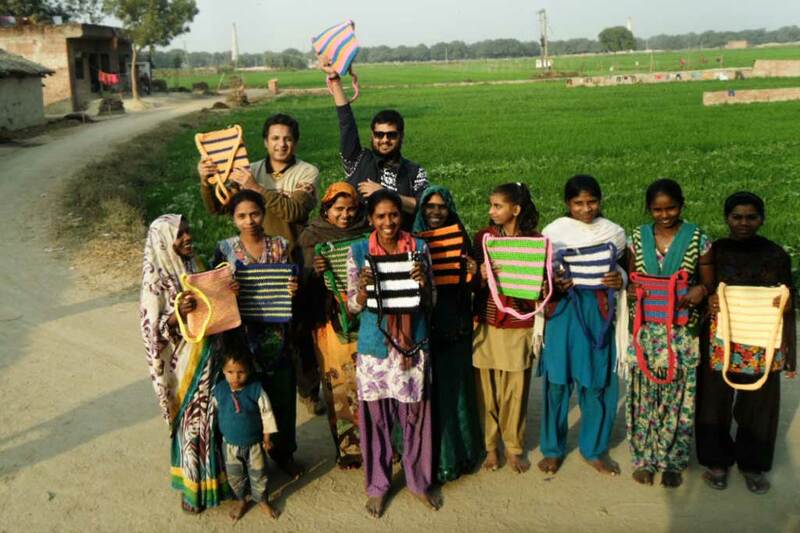 For a group of women in Sarai Nuruddinpur in Uttar Pradesh, a big order has come for bags that they are making out of fine ropes. In fact, it was their first outside order. The request was made by Piyush Agarwal, a businessman whose focus is handicraft work. Via his dynamic and professional personality, his kind heart also shines through. “I will not only do business here, but will also promote and support Amrita Serve activities in this village,” said Agarwal. Agarwal had heard about the bags from his contacts with the local Lions Club, an organisation known around the world for more than a hundred years for its work in community service. Seventeen women joined in bag production. 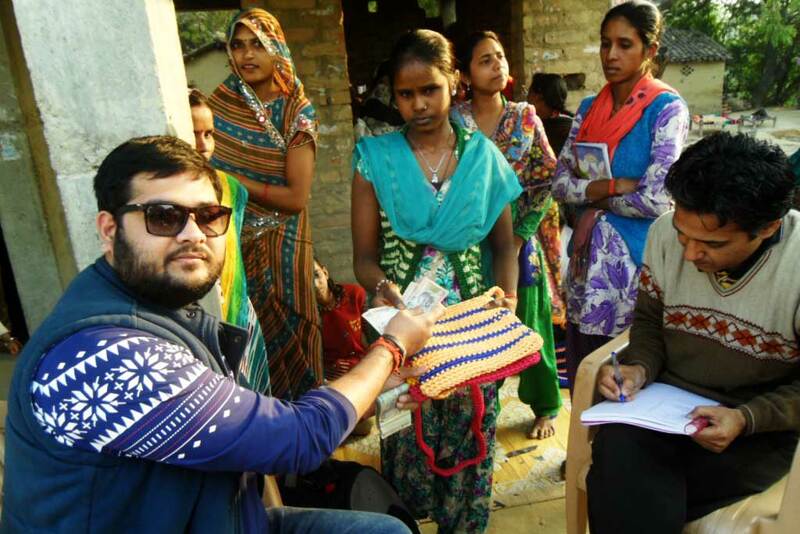 Once they were done, Agarwal was pleased to arrive and receive the bags while distributing his payment to the women one-by-one. He says he has some future orders in mind for which he would like to train the women to produce.